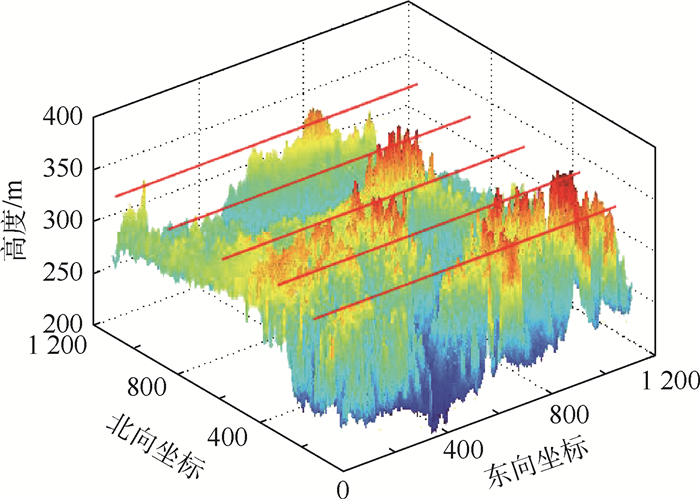 ZHANG K W, WANG K D. Judgement criterion for terrain false matching based on joint probability of multiple reference points[J]. 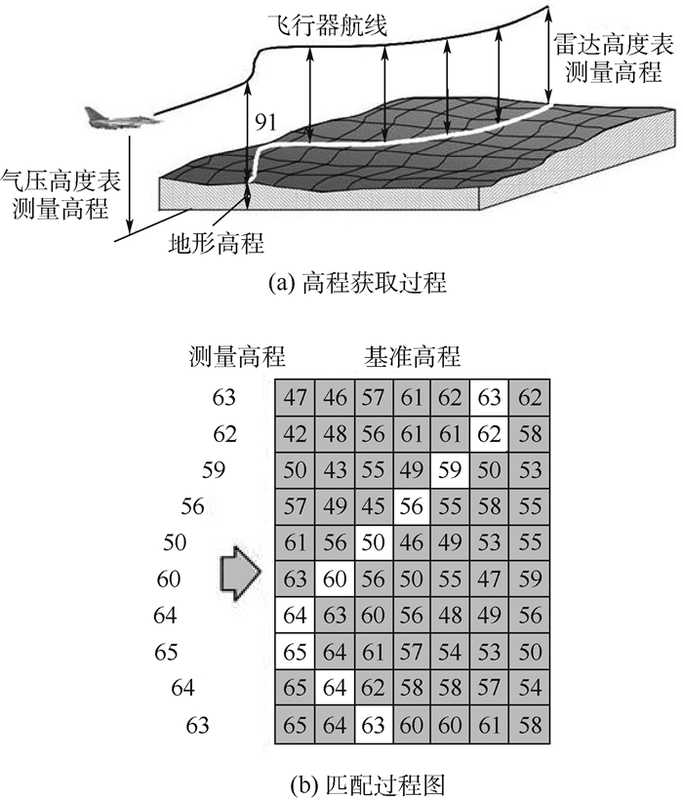 Journal of Beijing University of Aeronautics and Astronsutics, 2018, 44(7): 1562-1568. Abstract: Since the terrain contour matching (TERCOM) algorithm is easy to mismatch due to measurement error and terrain self-similarity, an on-line false matching judgement criterion based on the joint probability of multiple reference points in a correlation plane was proposed by taking mean square difference (MSD) as an example. 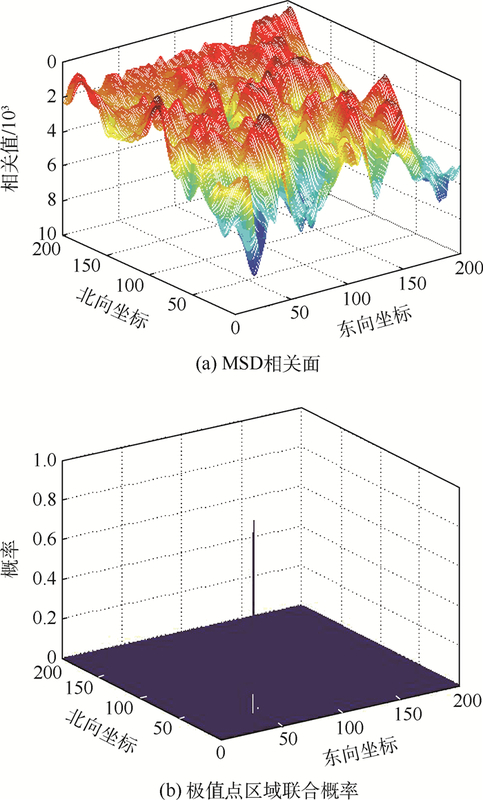 Firstly, the MSD correlation plane was calculated by the correlation of the measured elevation data with the reference elevation data. 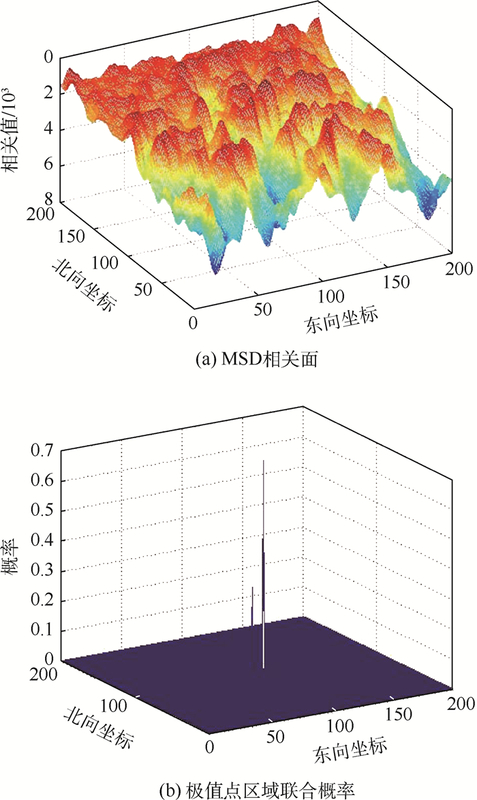 Then, the MSD probability distribution density function of the candidate matching points was derived by analyzing the statistical distribution of elevation measurement error. Finally, the multi-point joint probabilities were calculated for all the candidate points in the correlation plane so that they are compared with a threshold to judge the matching of the point with the minimum MSD value false or not. The simulation results show that 97% false matching points can be detected and 90% correct matching points can be preserved when the threshold is set to 0.9, implying that false matching can be avoided to a great extent. 徐克虎, 沈春林. 地形特征匹配辅助导航方法研究[J]. 东南大学学报(自然科学版), 2000, 30	(3): 113–117. 李雄伟, 刘建业, 康国华. TERCOM地形高程辅助导航系统发展及应用研究[J]. 中国惯性技术学报, 2006, 14	(1): 34–40. 张凯, 赵建虎, 施闯, 等. BP神经网络用于水下地形适配区划分的方法研究[J]. 武汉大学学报(信息科学版), 2013, 38	(1): 56–59. 徐晓苏, 汤郡郡, 张涛, 等. 基于熵值法赋权灰色关联决策的地形辅助导航适配区选择[J]. 中国惯性技术学报, 2015, 23	(2): 201–206. 王立辉, 乔楠, 余乐. 水下地形导航匹配区选取的模糊推理方法[J]. 西安电子科技大学学报(自然科学版), 2017, 44	(1): 140–145. ZHANG X, HE Z, LIANG Y, et al. Selection method for scene matching area based on information entropy[C]//International Symposium on Computational Intelligence & Design. Piscataway, NJ: IEEE Press, 2012: 364-368. 冯庆堂. 地形匹配新方法及其环境适应性研究[D]. 长沙: 国防科学技术大学, 2004: 42-44. 刘徐德. 地形辅助导航技术[M]. 北京: 电子工业出版社, 1994: 27-59. 杨勇, 王可东. ICCP中单纯形优化的误匹配检测[J]. 北京航空航天大学学报, 2009, 35	(3): 334–337. 朱华勇, 沈林成. 地形相关算法度量值的统计特性[J]. 国防科技大学学报, 1999, 21	(4): 91–95. JOHNSON L, KORTZ S, BALAKRISHNAN N. Continuous univariate distributions-Ⅱ[M]. Boston: Houghton Mifflin Harcourt, 1970: 130-146. 茆诗松, 程依明, 濮晓龙. 概率论与数理统计[M]. 2版	北京: 高等教育出版社, 2011: 252-349. 中国科学院计算机网络信息中心地理空间数据云平台. DDEMV2数字高程数据[DB/OL]. NASA, METI, 2015[2017-03-07]. http://www.gscloud.cn. Geospatial Data Cloud Platform of Computer Network Information Center of Chinese Academy of Sciences. 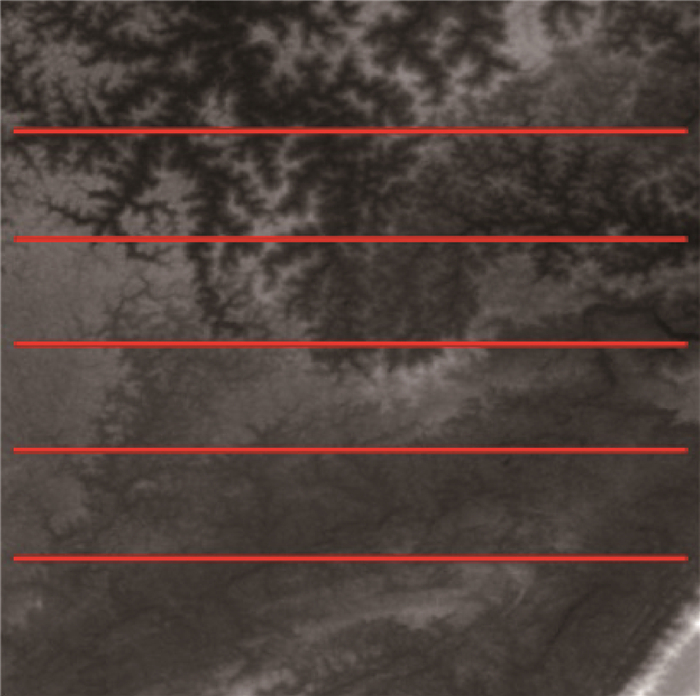 Digital elevation data of DDEMV2[DB/OL]. NASA, METI, 2015[2017-03-07]. http://www.gscloud.cn(in Chinese).